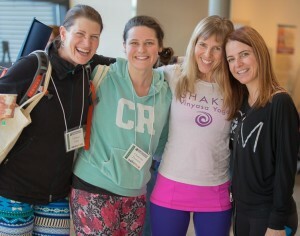 Thank you for your interest in supporting the Northwest Yoga Conference as a Community Partner! We will be accepting applications until all spaces fill. *Gaining additional exposure for your yoga studio, leading to more students and profits? *Attending yoga-related events to learn how to run your business more effectively and network with yoga professionals in the community? *Giving back and supporting your local yoga community? Great news – we have you covered! Through our Community Partner program, the Northwest Yoga Conference offers studios exposure to our community, access to inspiring and educational workshops and the opportunity to support the local yoga community. We would love to feature your yoga studio as a Community Partner! Our Community Partner Information outlines the benefits and responsibilities of being a Community Partner. And when you are ready to sign up, simply fill out the form below! Thank you for filling out an application. Please click submit to process your application. You should hear back from a conference representative within the 1-2 weeks.